Trees planted in fall , if properly established, will adapt to soil conditions and produce enough root expansion to flourish in spring. Digging a proper hole is the most important factor in the transplant's survival (assuming you've identified the right place for the plant, based on light requirements and climate zone). The most important step in planting a new tree or shrub is digging a proper hole. The planting hole should be three times as wide as the root ball, and the same depth as the pot. Depending the new plant's soil requirements, and existing soil conditions, soil amendments may be mixed with existing soil. 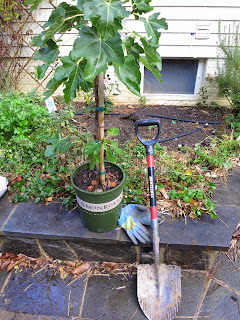 Since I'm still working with red clay and backfill, I usually need to add leaf compost to my existing soil to ensure the roots will have enough mobility. 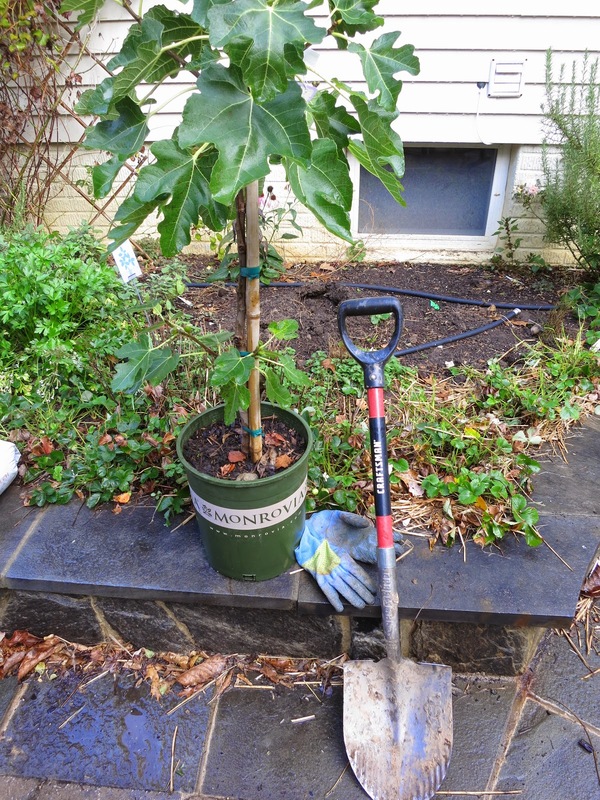 Surround the new plant with mulch, but be certain not to bulk it up around the trunk! It's common to see "mulch volcanoes" surrounding trees. In fact, this promotes decay around the base and trunk of the plant. Mulch should surround a plant the way a t-shirt collar surrounds your neck. Volcanoes kill!